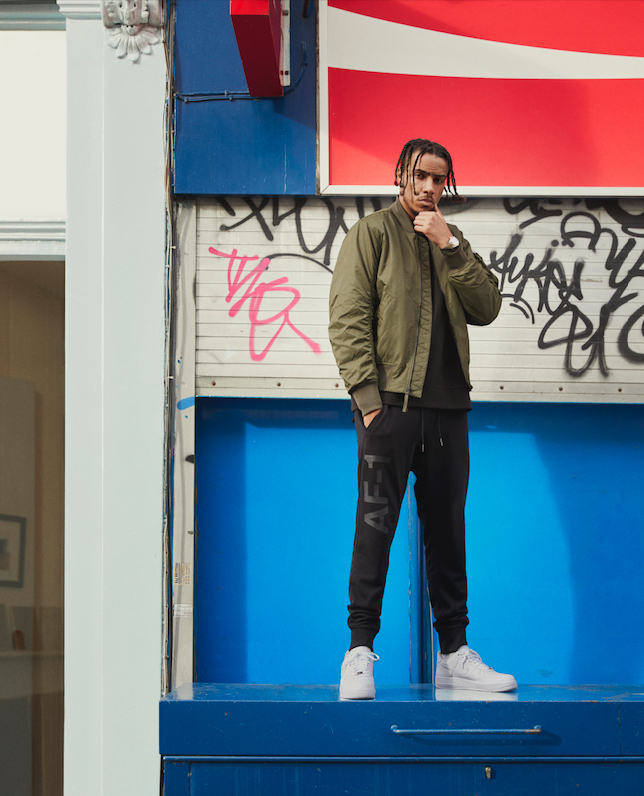 The popularity of Nike’s now iconic Air Force 1 model has remained a constant since it’s launch back in 1982, adopted and adapted by a range of subcultures and scenes the world over. The shoes significance in Baltimore during the mid-1980s, and New York’s long-standing love-affair are well documented, but London’s obsession – which spiked during the late 90s, is less well known. Long before Instagram, and the current blurring of lines between fashion, celebrity, and street culture, the AF1 had a solidly underground following in the capital. An organic embrace that was marked by a particular means of styling, with the models black colourway most favoured, fastened with one cross lace from the bottom lace hole to the top. The early 00s were also pivotal in the development of the city's connection to the shoe. J.D Sports, which first stocked the model back in 1989, secured limited edition exclusive colourways that gained a cult following, and even saw imports to the States – flipping the convention of the U.K imitating the U.S. Marking the development of this relationship, in 2003 Nike released the Carnival model as an ode to West London’s yearly celebrations. Four years later The Brixton Top Cats Basketball team were honoured through the London edition of the World Love Pack. And In October of this yeah Samuel Ross – founder of London based label A Cold Wall*, released his own take via NikeLab. 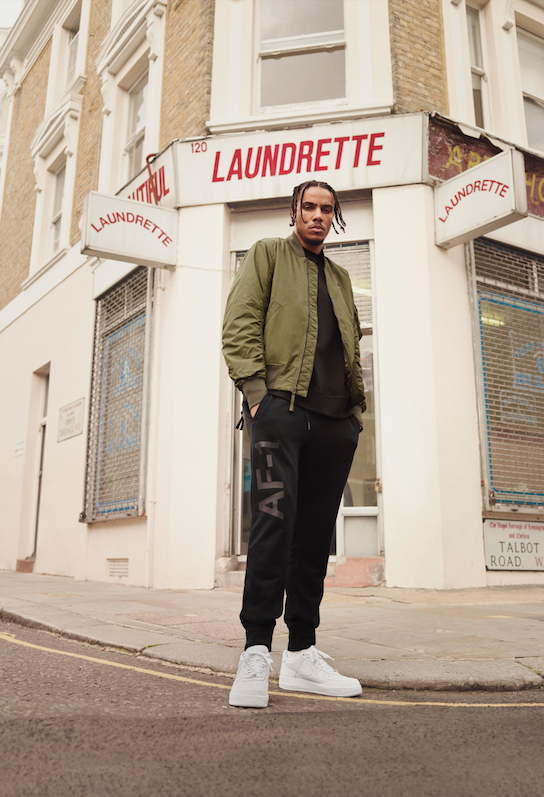 To celebrate their London legacy, and it's continuation long into the future, Nike have teamed up with rising London based talent from the fields of music and sport, on a new portrait style campaign. 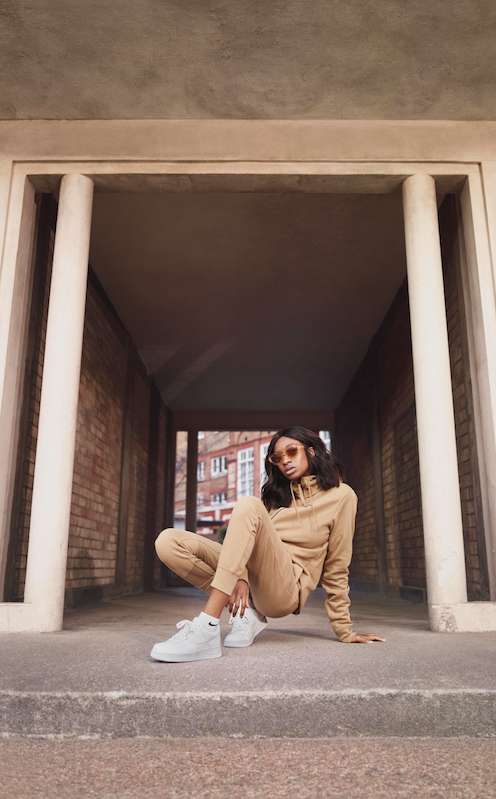 Featuring rapper AJ Tracey, rapper / actress Little Simz, and footballers Leah Williamson and Jadon Sancho, each member of it's ensemble cast sports a pair of box fresh bright white AF1s. Images that prove - in four unique ways, that the AF1 silhouette looks as good in 2017, as it ever did.